Turn2us is celebrating its 120th anniversary this year. Since 1897, we have awarded over £155 million in grants to people in financial hardship. Turn2us started as the Distressed Gentlefolks’ Aid Association in 1897. Elizabeth Finn, a pioneering 72 year old woman, made a stand at a social gathering and read accounts from people who were living in poverty. Her audience were so moved that many volunteered to fundraise and get support from their friends. While poverty in the Victorian era was very different, it is still a very real problem in the 21st century. Over 14 million people currently live in poverty in Britain, according to government statistics. 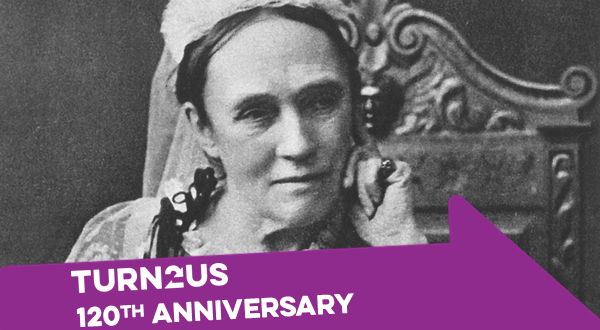 From humble beginnings awarding grants from Elizabeth Finn’s home, to a modern digitised grant service, with the additions of a Benefits Calculator and other services, Turn2us has evolved with the times. Although much has changed, notes from a meeting in 1901 reveal that the work we do now is bedded in the same foundations. Simon Hopkins, Chief Executive of Turn2us, said: “The face of poverty and our response to tackling it have changed massively over the last 120 years. “Since 1897 we’ve seen the evolution of the welfare state, the rise of digital technology to improve access to practical help and a host of other changes. If you are living in financial hardship, use our Benefits Calculator and our Grants Search to see if you are eligible for any extra funds.